Interserve Group, a leading British construction company, said it has secured a £7-million ($9.2 million) contract from UAE-based Enaba Hospitality for the design, build and refurbishment of the 255-room Mövenpick Hotel and Apartments in Dubai. The contract will be delivered by Interserve’s subsidiary, Khansaheb, one of the leading construction and facilities management companies in the UAE, said a statement from the UK-based company. In partnership with Interserve, Khansaheb will provide whole-life sustainable solutions for construction and infrastructure projects from initial business case, through design, procurement and delivery into ongoing aftercare. 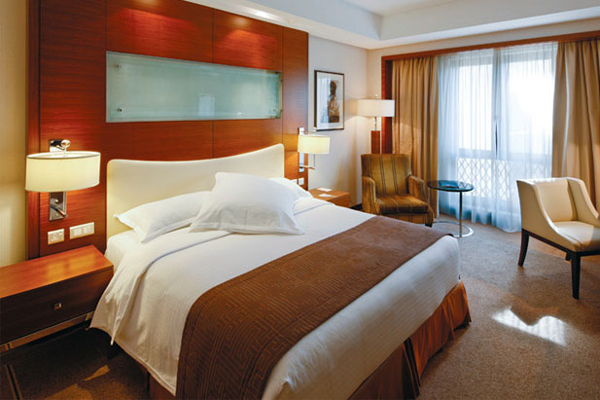 The scope of work includes upgradation of the existing guestrooms, suites and corridors in the 15-year-old hotel and ensuring compliance with the latest regulations in Dubai. The project is expected to be delivered this September. As part of the revamp deal, Khansaheb will carry out significant mechanical and electrical work including the replacement of all air conditioning, guestroom management systems, lighting and sanitary ware. It will also advise the client of any other critical repairs or replacement works that may be required to be incorporated into the current scope. The project also calls for replacement of all furniture, fittings and equipment, which will be procured through local manufacturers and suppliers, said the statenment. Jonathan Eveleigh, the group business development manager at Khansaheb, said: "We are delighted to be working on this prestigious project with Enaba Hospitality. Given our experience and expertise in construction and facilities management across the Middle East, this is a key opportunity for us to demonstrate our capabilities in delivering best-in-class construction solutions to our customers." "The leisure sector in the Middle East is attracting significant investment and is a key strategic area for Interserve. This project will allow us to build on our strong track record and to generate value for Enaba Hospitality," stated Eveleigh.